Home > 2017 > DARTSLIVE > Request a rematch in GLOBAL MATCH! Request a rematch in GLOBAL MATCH! 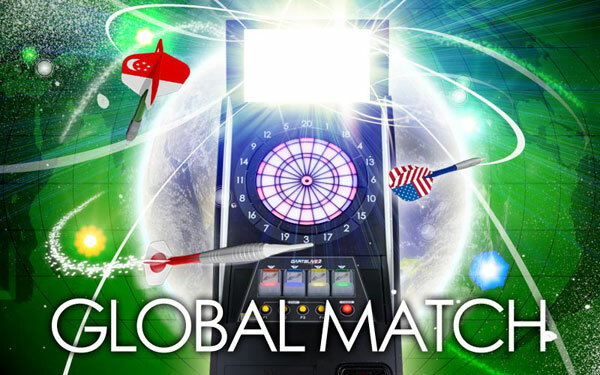 With DARTSLIVE card, you can enjoy darts with people from all over the world in GLOBAL MATCH. Have you ever felt that you would like to play with your opponent again right after a game? From Mon Feb 13, a new feature will make the rematch possible! Just press “P4” button for rematch right after the game! ■Both winner and loser can make the rematch request. ■Winner will shoot after the looser and have no right to choose a game. ■Looser will shoot first and select a game.